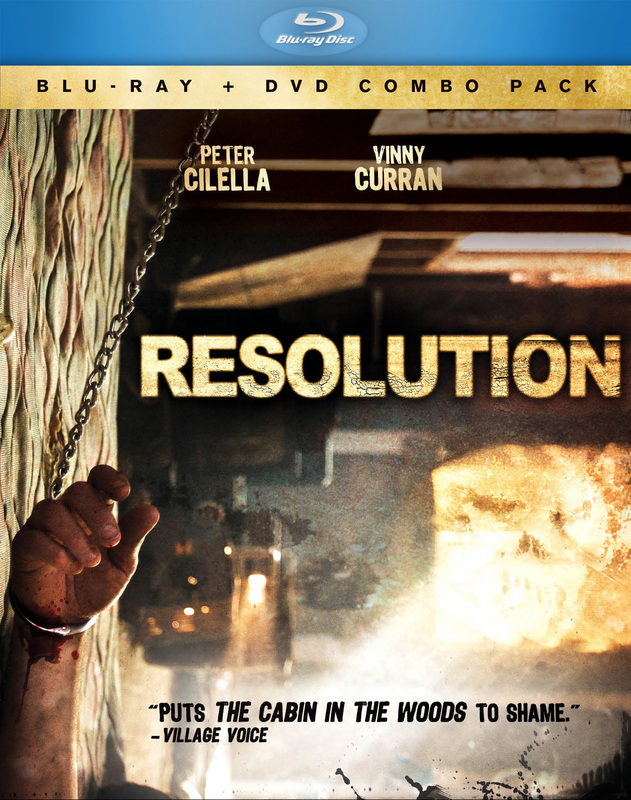 In an abandoned cabin on the edge of an Indian reservation, Mike (Peter Cilella) stages a risky intervention to force his friend Chris (Vinny Curran) off meth and into rehab. But what begins as an attempt to save his friend’s life takes an unexpected turn when ominous threats start appearing around the house – and they realize that Chris’s addictions are the least of their worries. 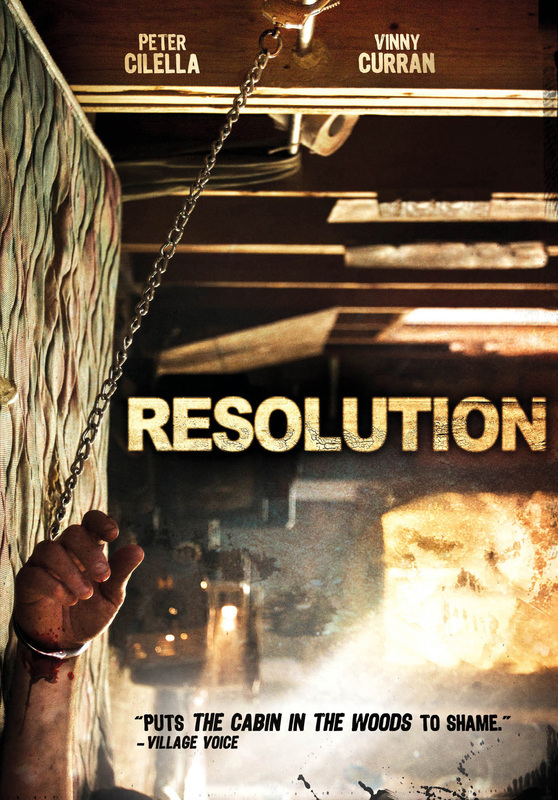 One of the most talked-about discoveries of last year’s festival circuit, RESOLUTION is genre-bending horror at its most bone-chilling. 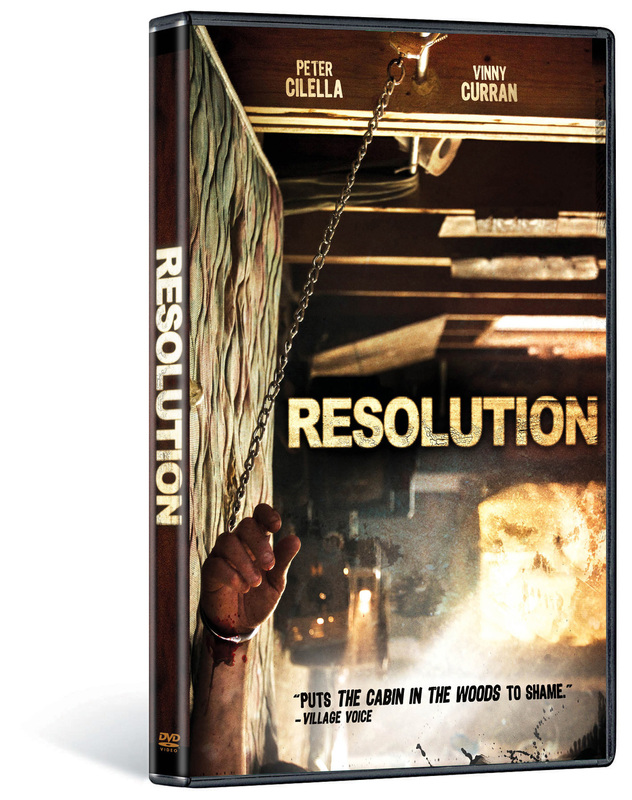 $29.95 2-disc set (Blu-Ray; DVD).